First of all, Mendocino and Lake Counties are both beautiful. 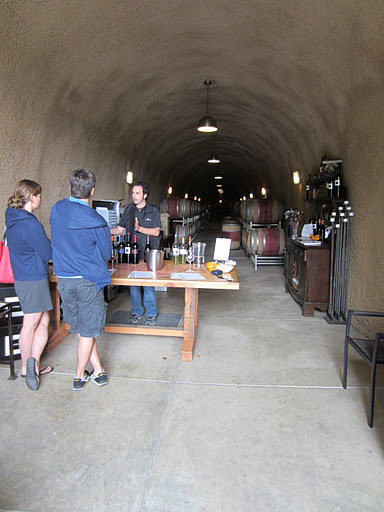 Secondly, some of the best wines I have tried came from fruit grown in Mendocino County. The major problem with Mendocino and Lake compared to other regions, is its remoteness (2.5 hours from San Francisco instead of 1 hour for Napa and Sonoma), and it’s size. These aren’t problems that I have personally, it was actually nice to be visiting wineries where I was the only one there. 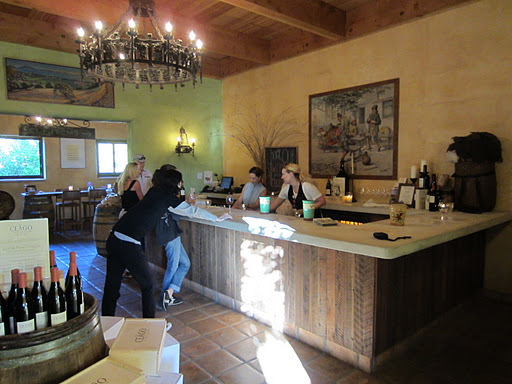 They are problems with wine tourism though, and the area needs to draw more people up from the Bay area to have them try to buy the wines. So if you ever come to California, I highly recommend making the trip up North, beautiful scenery, people and wines. Heading back down the 101 I first stopped into Nelson Family Vineyards, which is a small operation that makes wine from only 5% of their fruit. The wines are just OK, nothing special, but they do some interesting things such as an orange muscat and an ice riesling (not from Mendocino). Saracina next door was established by the oldest of the Fetzer dynasty, and the wines here were better. Slightly more restrained and elegant in style, the malbec was great, but the best was probably the roussanne viognier blend. The cellar under the hill was a pretty cool location for a tasting too, and Damien was nice enough to recommend some wineries to visit whilst in the area. 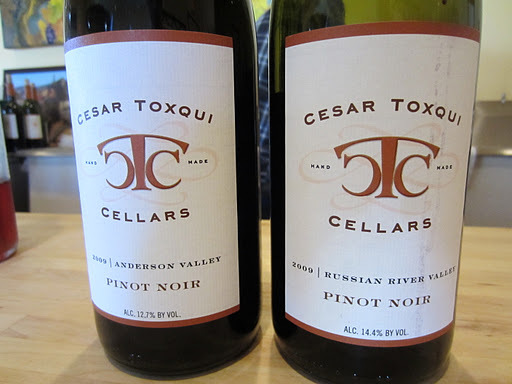 A Mexican migrant to the USA, Cesar Toxqui worked his way up through the Fetzer empire starting as a vineyard hand, and eventually graduating to assistant-winemaking duties. He started his own brand and now makes a range of wines entirely from contract fruit. The wines are all excellent food-friendly styles, and even includes a non-vintage red blend made in the solera-style that includes a different blend each year with the previous blend. Changing plans mid-afternoon, I decided to drive down to Lake County which is just next to Mendocino. Back in the ’60s Clear Lake was a popular destination for tourists from the Bay Area for camping, water sports and gambling. That was until they opened the interstate that drew people to Lake Tahoe, which straddles California and Nevada. The locals in Lake County are trying to draw people back to the area, and one way they are doing this is through world-class wines. 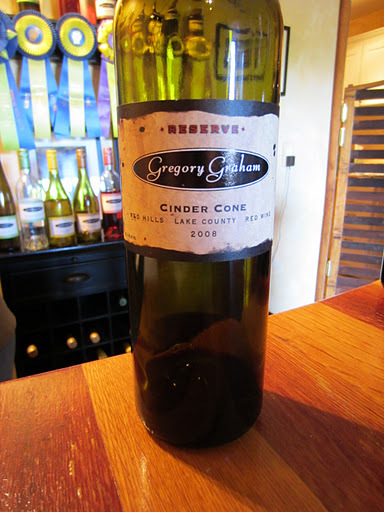 After many years within a large wine company making large quantities of wine for other people, Gregory Graham established his own winery on the southern shores of Clear Lake. 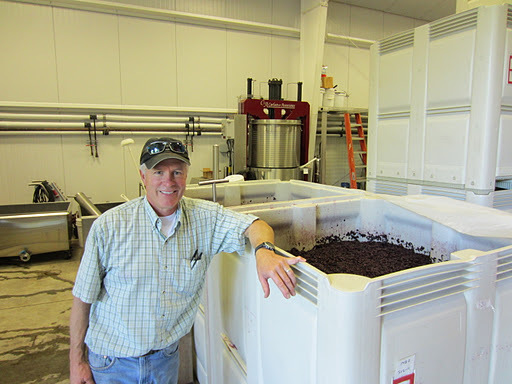 When I visited on a Sunday afternoon he was plunging syrah in small fermenters himself, always nice to see. One of the benefits of being so hands-on and producing wines in such small quantities means that you can charge very reasonable prices. This is one of the secrets of the industry the large companies don’t want consumers to realise. It also means that most of the wines need to be sold direct, whether through the tasting room or wine club/mailing list. Greg gave me some great insights into the business and pointed out that a maritime climate actually gives cabernet the green edge to it, probably why I prefer Yarra Valley cabernets. Along with Benziger, one of the wineries heavily promoting the biodynamic story in California is Ceago. Located on the northern shores of Clear Lake, Ceago was established by another Fetzer (hard not to find Fetzers in Mendocino and Lake), Jim Fetzer. The family business grew to 2.5 million cases between 1968 and 1992, and was growing 1200 acres of organic grapes. In 1993 Jim established Ceago vineyards as a biodynamic vineyard and the first commercial vintage was in 2001. Similar to the Benziger and Frog’s Leap wines, the idea is that biodynamic and organic fruit better expresses the terroir, and Ceago continues this trend. 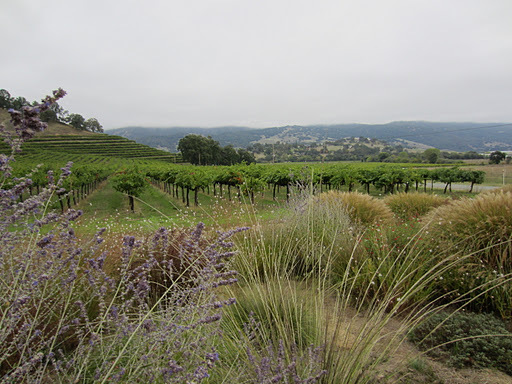 The best sauvignon blancs I have tried in California have all come from these types of vineyards. Click here to see more photos from Day One in Mendocino County, California.